Typical mattresses contain chemicals that are not healthy for anyone, but particularly not safe for babies and children. Most mattresses contain petroleum based chemicals, toxic foams, synthetic fabrics, and fire retardant barriers or chemicals. These chemicals can off-gas to expose your family to dangerous levels of toxins while they sleep. Even mattresses that are called organic can have materials that have some toxic off-gassing, so it’s important to know what to look for in an organic mattress. It’s difficult to know how much an individual mattress might be off-gassing. It really depends on what’s in the mattress, and this varies greatly between different types of mattress materials and manufacturers. Sometimes it’s obvious because you can actually smell the chemical odor. But a mattress can still off-gas even when it’s 10 years old and there’s no chemical smell. What if You Can’t Afford an Organic Mattress? If you can’t afford to buy an organic mattress, how do you block the off-gassing from a typical toxic mattress? We are frequently asked this question, and I wish we had a good answer. The quick answer is there is no real solution, except to make it a priority to buy a safe and healthy mattress as soon as you can. Please note: This article is about mattresses for older children and adults – not babies. Please read this article for protecting babies. Do Dust Mite Covers, Barrier Cloths, or Organic Mattress Pads Block Chemical Off-Gassing? People sometimes assume that a dust mite allergy cover, barrier cloth or organic mattress pad will block the off-gassing. This is not true. However, the dust mite barrier cover will not block gases since it is a fabric. Organic cotton, wool, or latex barrier covers or any other type of mattress cover or pad will likely not be enough to protect you from the toxic chemicals or gases coming from the mattress. Plastic is the only material known to block off-gassing. But unfortunately, most plastic covers will add more chemical exposure or off-gassing to the situation. Many plastic dust mite covers or barriers are not safe. Barrier cloths or covers are great for blocking dust mites and other allergens, but not for toxic off-gassing. Blocking chemical off-gassing is not so simple. Plastic will work, but the plastic needs to be thick enough so the gasses won’t penetrate. The type of plastic used is critically important because many types of plastics will create more chemical off-gassing. For instance, you wouldn’t want to use a vinyl-based cover since vinyl will add more chemical exposure. Low density, food-grade polyethylene is safe and non-toxic. It has a simple molecular structure that does not require toxic chemical additives like phthalates and other unsafe plasticizers. There are crib mattress covers made in New Zealand that are made with a specially formulated polyethylene that has been tested and confirmed to block off-gassing and will not off-gas itself. These covers are made for covering baby and crib mattresses. Unfortunately, they do not make the larger sizes in twin through king. I’m sorry to say that there is no one that we can recommend who makes tested mattress wraps for older child or adult beds. A possibility is to use a Naturepedic Organic Cotton Waterproof mattress pad. In this waterproof pad, there is a thin film of plastic in the middle between the organic cotton layers. This thin film may partially block some of the off-gassing from the top of the mattress. Will it block all gasses that may be coming from your mattress? I can’t say, since is not designed for this purpose; it is designed to be waterproof. It is not the correct thickness and it is not tested to block off-gassing. But it is a safe and non-toxic pad, and it’s the only waterproof mattress pad that has been tested and confirmed to not off-gas itself. Obviously, there are no great alternatives if you can’t afford a new mattress, and I can certainly empathize. 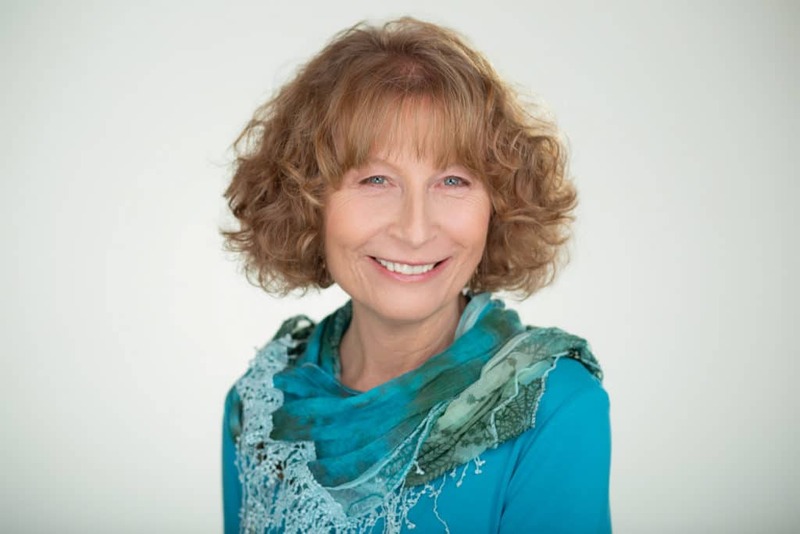 22 years ago, I slept with my baby in my bed, not knowing mattress toxicity was an issue. I breastfed her frequently throughout the night and I was in tune with her natural breathing rhythm. At that time in my life, I couldn’t afford an organic mattress. And there simply weren’t that many options available then. If I had a baby now, I would make it an absolute priority to purchase an organic mattress that I know is also non-toxic. Or I would get a safe, non-toxic bassinet, cradle, crib or co-sleeper to put beside my bed. As soon as I could, I purchased an organic mattress for my daughter – the Naturepedic Quilted Organic Cotton Deluxe Mattress. She’s now 22 and this mattress has been great for her for many years. This mattress is the most affordable that I have found for a completely non-toxic certified organic mattress. I need a very soft sleeping surface. I simply don’t sleep well on a firm innerspring mattress. Before I could afford a softer adult mattress, I compromised for myself. I bought a 4″ organic topper and put that on top of my regular (probably toxic) firm innerspring mattress. Then I had another organic wool topper on top of that. It was very soft and comfortable and I was sleeping about 7″ above my old mattress. 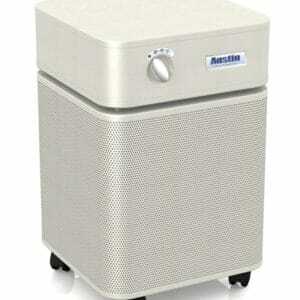 I also have a very good air purifier in my room that works well with VOCs. Please remember that my solution is not safe if you’re bed sharing with an infant. Babies need a firm flat surface and the toppers that I have make it too soft for a baby. Did this scenario guarantee I was not being exposed? No, but I recommend that you do the best you can with the resources you have. We have to let go of the worry until we can afford to get what we need. Now I sleep on an EOS organic mattress in the plush/soft comfort level, and this is total bliss for me! It’s organic latex and pocketed coils with a quilted organic cotton and wool covering. If you have a family, I’m sure there are many things you need to spend money on. It may seem difficult to justify spending a lot on an organic mattress. But what could be more important than protecting your family from chemical exposure? You can’t protect them from all exposures since chemicals are virtually everywhere, but a mattress is an up-close, long-term exposure of toxic chemicals. Taking steps to eliminate this exposure goes a long way in assuring good health. Do the best you can to make safe, non-toxic organic mattresses a priority in your budget. Then let go of the worry. Worry can be toxic, too. Organic does not always equal non-toxic. 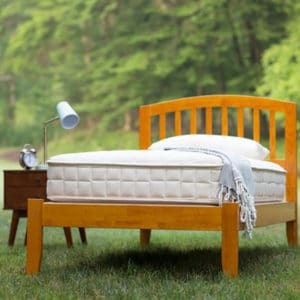 This article outlines how to determine whether a mattress is organic AND truly non-toxic. 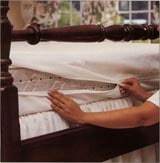 This article is about crib mattresses, but most of the information also pertains to child or adult mattresses. This information is purely for educational purposes and is NOT meant to be SIDS prevention advice. It is not intended to diagnose, treat, cure, or prevent any disease. Healthy Child does NOT make ANY claims that co-sleeping or using a non-toxic mattress will prevent SIDS since this has not been 100% scientifically proven, and there can be other factors involved in SIDS. None of the information or options presented here are considered to be SIDS prevention advice or medical advice. *Low* density? … not High Density PE? I thought the latter was better. Neither High-Density nor Low-Density Polyethylene leaches harmful chemicals. But low density is softer, so better for mattresses. Here is a link to a study by Clean Production Action. And thank you! It’s all so helpful. Can I ask if you recommend anyparticular manufacturers of the LDPE? Naturepedic is the only manufacturer I know who uses LDPE in their mattresses. Oh, thank you, but I was meaning *food-grade* LDPE sheeting. I found 6 mil thick sheeting at Home Depot, made of recycled plastic presumably polyethylene as it says in the description, but when looking for sheeting that is food grade, I came up empty. Thank you for your expertise! Very much appreciated! My dad bought bought new mattresses for my sister and me that makes the whole room reek of chemicals even with our window open, and makes me feel ill. So I’m interested in your idea of buying BabeSafe covers and taping them together to protect us from breathing in the chemicals, do you think that would offer sufficient protection? I’m sorry you are dealing with this. I don’t know if that will protect you. If you try it and it doesn’t help, you might consider getting rid of the mattress so you aren’t risking continued exposure. What pros and/or cons are there with the Newton crib mattress made of food grade ldpe? Pingback: The Non-Toxic Home Products That Are Worth Splurging On (Plus 3 That Totally Aren’t) | Your News On Time! I was looking for a pack n play, and learned so much about non safe issue of polyurethane foam and fire retardants. all pack n play mattresses are made of this foam though. if the polyurethane foam does not consist fire retardant, is it safe? or should i just skip it. Looking forward for your advise. Thanks. It is rare to find polyurethane foam that does not contain fire retardants, since it is extremely flammable. Even if the manufacturer says they don’t add fire retardants – it likely still does since it comes already pre-mixed into the foam that they source. They may not add it themselves but it’s still there. I do not recommend pack n plays. Thank you Jane for your advise. Do you know if mattress’ foundations off gas or contain fire retardants? 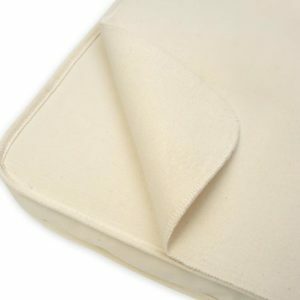 I’m planning to get the organic mattress for my daughter, I’m not sure if I really need to get the organic foundation or my current one is safe to keep. Looking forward for your advise. Whether your foundation is offgassing depends on the materials used. Foundations need to pass the fire regulations, like mattresses. There is usually no polyurethane foam in a box spring, but the fire barrier or chemicals are usually in the cloth piece that surrounds the foundation. Also foundations can have off gassing issues related to the particle board or manufactured plywood (formaldehyde). Toxic glues can also be used. Is there a box spring that you recommend as a safe non-toxic option? It contains organic cotton and high quality FSC certified wood. All of the Naturepedic mattresses can be ordered with this foundation and shipped free. If you want to order the foundation only, you will need to get a shipping quote and pay for shipping. Great to know, I’ll check into them. Thanks. Good question, Victor! They are allowed to market because our government protects the interests of industry instead of public health. Is CertiPUR-US® foam a good option? CertiPUR-US was created by the Polyurethane Foam Association. Its members and financial sponsors are chemical companies and foam manufacturers. Can that be a reliable standard?